Disclosure/awareness post. If you don't like this kind of post, move along. I wrote about Narcolepsy and how I was diagnosed back in 2007. Narcolepsy can make functioning, and getting things done, really tough sometimes. Oh, I get things done. That is, as long as I don't stop moving. If I stop moving, or sit down during the day, all bets are off. It is the reason I stand most of the day. Very rarely do I actually sit down. If I do, I will be drowsy, unable to carry a conversation, and if I'm not actively involved in a conversation, I'll fall asleep in a few seconds. But being AWAKE makes a huge difference in my ability to stay focused. Twenty years ago when I wad diagnosed with Narcolepsy, the stimulant Ritalin was the only drug available. I was miserable on it. It caused me to have chronic headaches and dizziness. I was awake, but my mind felt scattered and unorganized. It was certainly not ideal. About the same time, the drug Provigil was nearing FDA approval. My sleep specialist told me, "Just wait! Your life is going to change dramatically with this drug!" He wasn't kidding. The first time I took it, I got SO much done in my house! I thought "This is what it feels like to be awake? Wow! I like being awake!" Because I'm hypersensitive to a variety of meds, one of the problems Provigil caused me was, oddly, an inability to sleep! I found that I could take just 1/4 - 1/2 dose and I could stay awake during the day but I would still have a little trouble sleeping at night. Because of that I resorted to only taking it when was going to be doing a lot of driving, or driving long distances. (for me, 15 minutes is a long drive and I will get very drowsy.) or when I'm going to have a particularly long day. Then two years ago I was diagnosed with severe obstructive sleep apnea and started sleeping with a c-pap machine. Between a weight loss of 85 lbs, getting back to running, and improved sleep with my c-pap machine, I didn't feel like I needed the Provigil anymore. But winter in Minnesota, and lack of sunshine, is really hard on me. I take 5,000 iu of Vitamin D daily during the winter (dropping to 3,000 during the summer) along with several other vitamin supplements. Lately I've had so much to do, but all I can think about is napping. Our morning "get the kids out the door" routine involves two shifts of kids, and me taking an hour nap between those shifts. When the last of the kids are out the door, I often find myself headed back to my pillow and blankets. I might sleep for a couple of hours then get up, run some errands, then come home for another 60-90 minute nap before the kids come home! Considering I sleep a minimum of 7 hours at night (more typically 8-9), thats an average of 12-13 hours of sleep. I'll admit, I can be slow to recognize a pattern. Last week my kids were passing around a nasty cold. Behind some bottles of kid cold medicine, I found my last bottle of Provigil on the shelf. Hmmm I wonder.... I looked in the bottle and there were several doses. I took my usual dose. I got more done that day than in the entire week prior. Being awake, and having ambition to get things done, is really an amazing feeling. 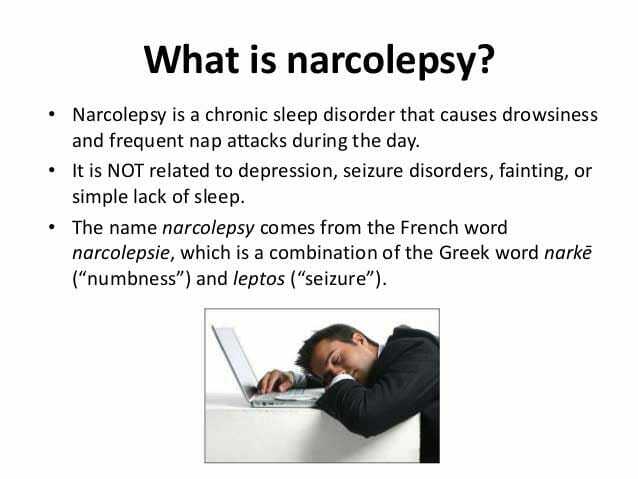 I'm always stunned that "normal" people, those who don't have Narcolepsy, feel this awake most of the time. Within 30 minutes of taking my medication I feel a light switch turn on. The synapses in my brain start snappin. Zip! Zip! Zip!!!!! My mind starts picturing all the things I want to get done that day. And, my favorite part, ideas form! Poor Dean. He hates that part because it usually means I start a list of projects that require his help. Don't think the kids are left out, because I usually come up with some new ideas for them too, and yes, they are often met with eye-rolls. "Oh GOD! Mom is awake again!" Life as a mom who has Narcolepsy is interesting, but it is SO GOOD to be awake! Hi my son Tyler has narcolepsy too. He is 14 years old he also has epilepsy and osa. He uses a cpap machine at night. He takes modafinil to stay awake during the day. He is able to go to sleep at night. Maybe you could try this medicine. Hi April! Thanks for taking the time to comment. Modafinil is the generic name for Provigil. My daughter falls asleep at the drop of a hat and has just been diagnosed with sleep apnea. (We pick up her c-pap machine on Friday.) I'm glad you found something that helps you!